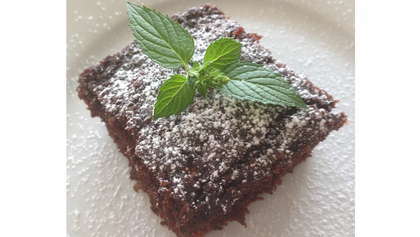 This chocolate zucchini cake recipe will satisfy your chocolate craving without the added guilt! Measure dry ingredients into a large mixing bowl. Whip eggs and then stir in sugar, oil, vanilla and zucchini. Fold into dry ingredients until combined. Let sit and cool completely.